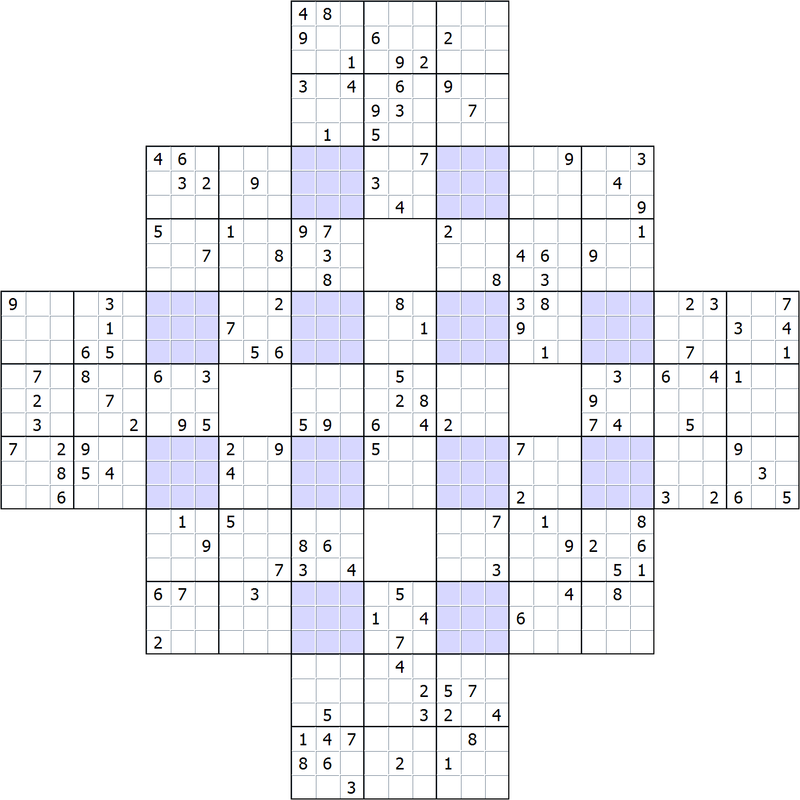 Richard Broughton's SudokuSolver couldn't solve this, even with all techniques enabled except brute force. I don't have access to another solver that will handle these. Do I simply need to re-order the techniques, or is it really unsolvable?